Do you want to be an entrepreneur and but don’t know what business to start? Do you want to make extra income? Are you looking to go back to work but don’t want to work 9 to 5 or commute? Are you bored and looking for a passion that you can turn into a profit? Do you have a passion and need help turning it into a business? Do you want the flexibility that working for yourself can provide? Are you looking for the freedom to set your own schedule? Can you imagine yourself running a money-making business while your kids nap, are in school, or after they go to bed? Have your kids left the nest and now you’re ready for your own business project? One of the most difficult things women face is figuring out what business they want to start. Find Your Business Venture is a process developed by VentureMom to guide you to the right business and get you started right away. 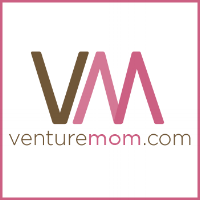 Find Your Business Venture includes a detailed questionnaire and an hour on the phone with VentureMom founder Holly Hurd. At the end of that time, she’ll give you an idea and a path to get started.